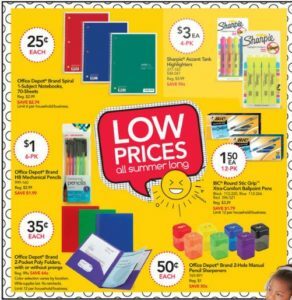 Office Depot and Office Max have Great School Supply Deals! Office Depot has these items for the lowest price too! $1 Mechanical Pencils 6 ct. Grab extras if these are items your kids/students need later on in the year because they will be full price! Dole Fruitocracy Only $1 Each at Safeway! Great Deal on Gerber Baby Bottles! Smart and Final-Buy 4 Save $4 Sale= Great Price on Huggies!